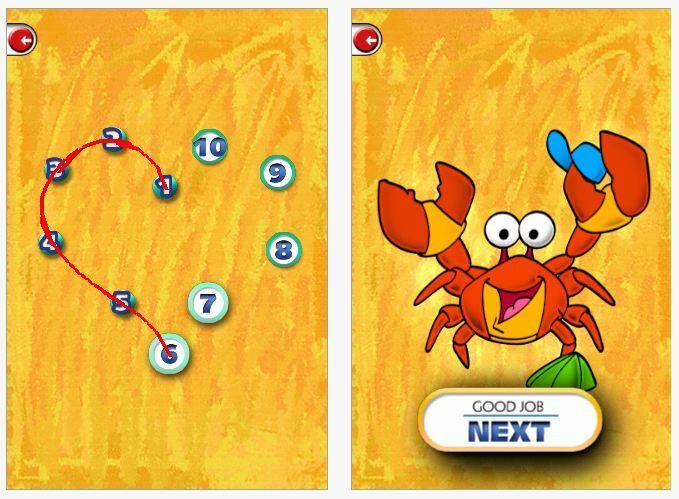 Dexteria – Provides explicit training in fine motor tasks of tapping, pinching and handwriting skills. 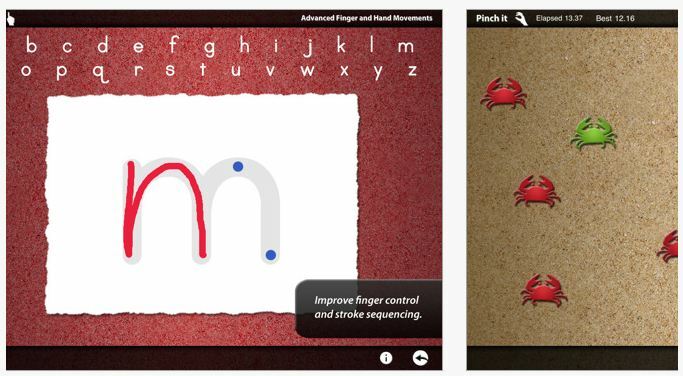 Skills promoted to be developed with this app includes finger isolation, pinching and letter formation. Productions or challenges can be timed to encourage speed and dexterity. The handwriting skill development has levels and provides feedback to students when they draw out side of the lines when forming letters and shows the correct sequence visually with cues of where to start and where to end to assist with developing a motor plan for letter formation. Although it does not provide that game element helpful for kids to engage and not know they are learning or practicing a skill, it does provide verbal rewards for successful completion. Great for students with autism who benefit from visual information for learning. Compatible with iPad. On day of this review it sold for $2.99, regularly $4.99. For more views and information check it out on iTunes or their website. Dots for Tots – A simple app with nice visuals, animation to help users know what to do, music and also rewards after completing each dot to dot shape. It also nice provides auditory output of the name of the shape that was just drawn and starts out very simple with only 3-4 numbers for young learners. You can also purchase additional addons for cost. Available in a free and paid version ($.99). Although it has not gotten great reviews in iTunes, I have not had problems with it on an iPad and believe it is well worth trying out with kids. Available for iPod and iPad. Dot to Dot Number Whiz – Another dot to dot app (by the maker of Pocket Phonics – one of my favorities), allows you to customize by user, the age range of the photo library and pictures for the app. Provides visual for where to start drawing and gives you visual feedback for errors all which also can be customized for the user. This app starts with more numbers as shown above for students who can count up to 5 or 10 (or more). 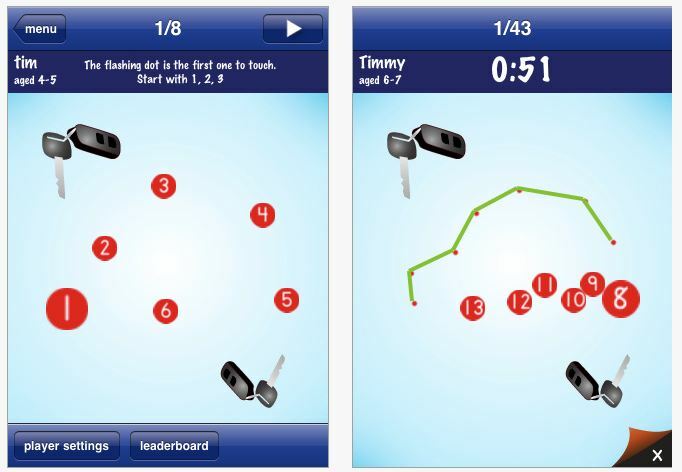 Available in a free version and purchase version ($1.99) for both iPod and iPad. This entry was posted in App Reviews, Apps for OT's, Apps for Special Needs, AT for Handwriting, Fine Motor Development, Finger Isolation, Handwriting, iPad, iPod, Letter Formation, Occupational Therapy and tagged apps, fine motor, Handwriting, occupational therapy, OT, pinch. Bookmark the permalink.